The mysterious "missing years" of Captain Picard's life—before he commanded the Enterprise—are revealed at last in this Star Trek: The Next Generation novel! Jean-Luc Picard. His name has gone down in legend as the captain of the U.S.S. Stargazer and two starships Enterprise. But the nine years of his life leading up to the inaugural mission of the U.S.S. Enterprise to Farpoint Station have remained a mystery—until now, as Picard's lost era is finally unearthed. Following the loss of the Stargazer and the brutal court-martial that resulted, Picard no longer sees a future for himself in Starfleet. 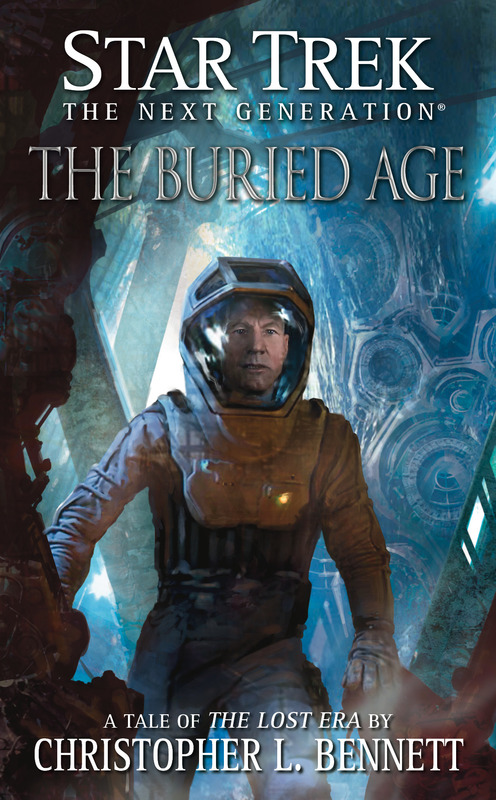 Turning to his other love, archaeology, he embarks on a quest to rediscover a buried age of ancient galactic history...and awakens a living survivor of that era: a striking, mysterious woman frozen in time since before the rise of Earth's dinosaurs. But this powerful immortal has a secret of cataclysmic proportions, and her plans will take Picard—aided along the way by a brilliant but naive android, an insightful Betazoid, and an enigmatic El-Aurian—to the heights of passion, the depths of betrayal, and the farthest reaches of explored space.